I have Pinterest to thank for these beautiful blondies. 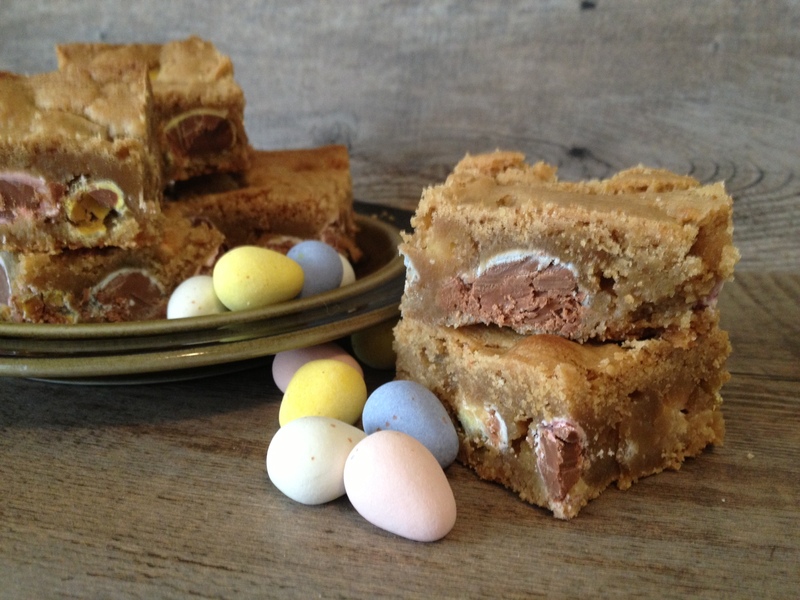 Seriously, I didn’t think I could love Easter or Cadbury mini eggs more than I already do…but these came along and changed my world. the beauty of fresh cadbury’s going into blondie batter. Gently fold them in, don’t you dare think of turning that mixer back on! First of all, super easy to make. 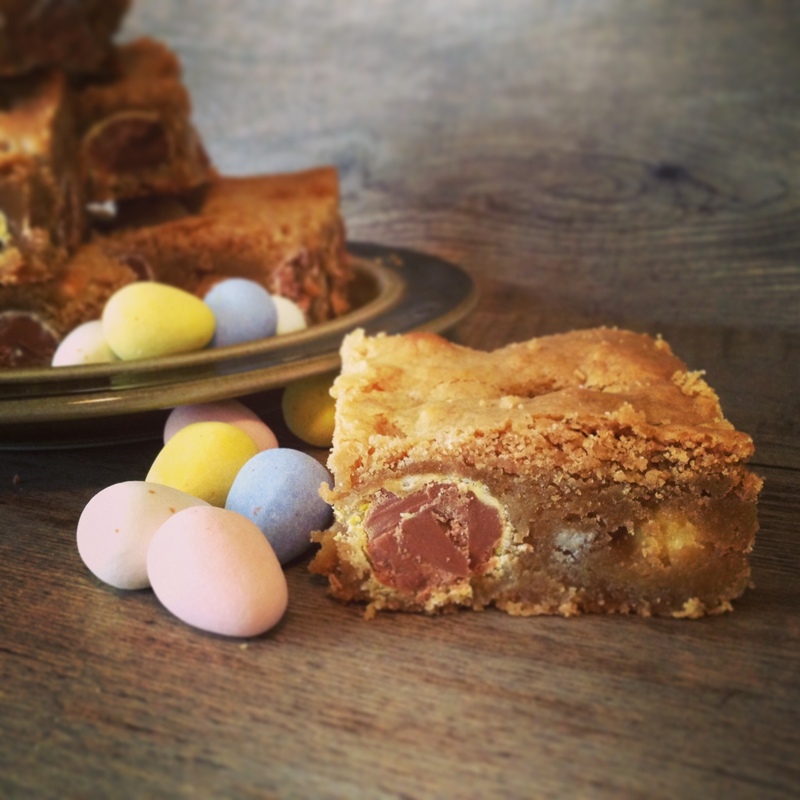 I have never made blondies before, but this seems like a really good base recipe. 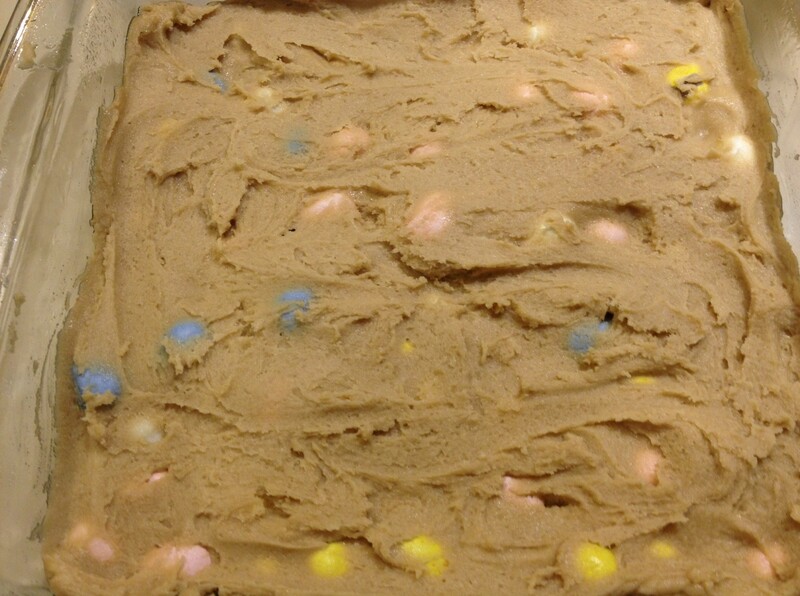 I would definitely revisit this with white chocolate, M&Ms, dried fruit, the possibilities are endless…But the mini eggs are definitely a win in this situation. 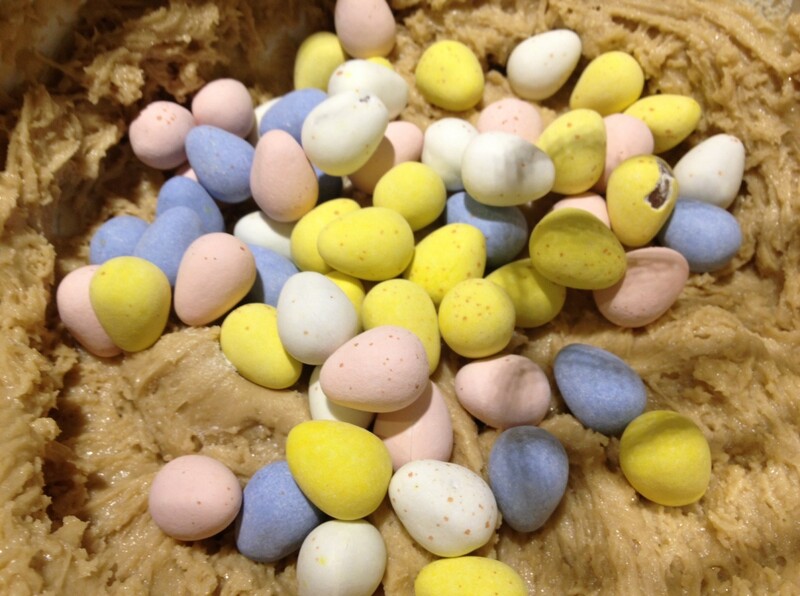 I really thought mini eggs were perfect in their original form, but the blondie batter changed everything! It’s like an Easter Egg hunt in there! Baked up and almost ready to slice! Melt butter over medium heat (or, if you are me, in the microwave for about 30 seconds). 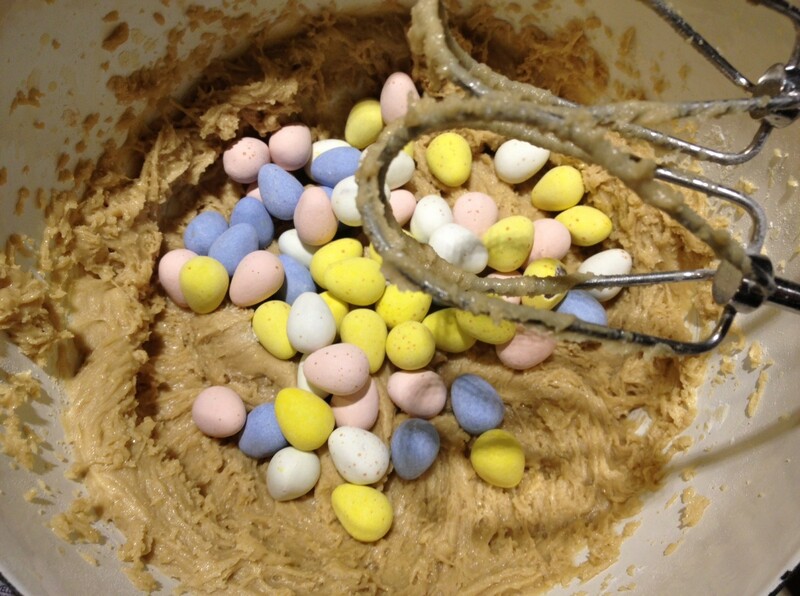 Once melted add to the bowl of your electric mixer. Cream together with sugars. Add in vanilla and eggs. Mix until creamy. Slowly add in flour, baking soda, and salt until incorporated. 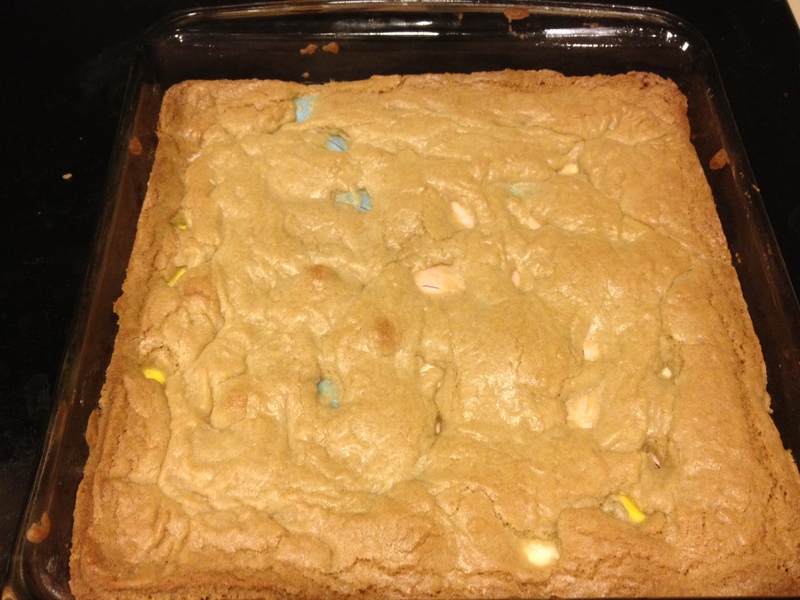 Spread batter into a greased 8×8 or 9×9 baking dish. Bake at 325 for about 40 minutes or until a tooth pick is inserted in the center and comes out clean. (Baking at 350 for about 30 minutes seems to work fine if you are more impatient). Let the bars cool for 30 minutes before slicing. The best speckled eggs ever. Auuuuughhh! Those look soooooo gooooooood! Sorry to do this to you!!! I really want to give you one!